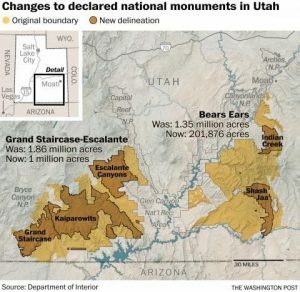 President Trump is expected to sign an executive order Wednesday that could end up shrinking — or even nullifying — some large federal national monuments on protected public lands, as established since the Clinton administration.The move is largely seen as a response by the new administration to two controversial, sweeping national monument designations made late in the Obama administration: the new Bears Ears National Monument in Utah considered sacred to Native American tribes and the Gold Butte National Monument in Nevada near the Bundy Ranch, site of the 2014 armed standoff over cattle grazing on public land. There is nothing to see but the cracked yellow earth, wiry bunch grass, and saltbush. Nothing, that is, until a practiced eye begins spotting a scattering of tiny black and red potsherds. 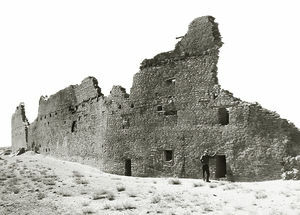 Their presence here, 16 miles north of Chaco Culture National Historical Park, along with their linear arrangement, as if they were used to mark a road, are part of a chain of clues that have been leading archaeologists farther and farther away from Chaco in their efforts to explain what Chaco was. 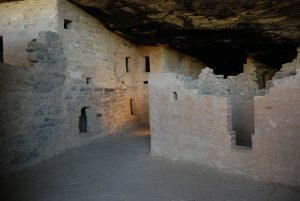 Managed by the National Park Service, Mesa Verde is situated on top of Chapin Mesa in southwest Colorado, just thirty miles from Cortez on Hwy 160. The road to the park, and all interior roads open to the public, are paved. 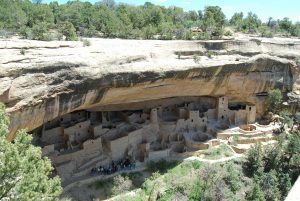 There are over 4,000 known archeological sites in Mesa Verde National Park, ranging from Basketmaker II mesa top farm/village sites to Pueblo III cliff dwellings. Only a small percentage of the sites in the park have been excavated. 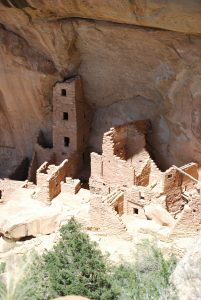 Several of the spectacular cliff dwellings are accessible to the public via guided ranger tours. Stop by the visitors center on the way into the park to pick up a map and reserve a place on a tour. There are also several self-guided trails leading visitors to villages, pithouses and irrigation features. Plan for two days to see both sides of the park. There are two main “loops” with plenty to see and do. There is a camp ground in the park, as well as a lodge and assorted dining facilities. If you plan to stay in the lodge or campground, make reservations early. They fill up quickly. 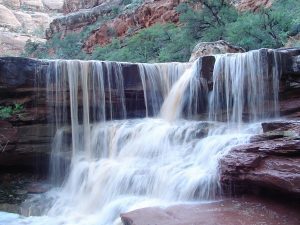 There is a fee to enter the park, this varies depending on when you plan to visit. The pass is good for 7 days. 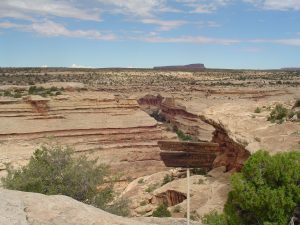 Grand Gulch, part of the newly established Bears Ears National Monument, is a remote canyon system located south and west of Blanding, UT. 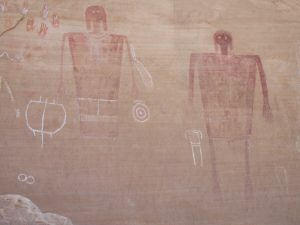 Numerous sites dating from the Archaic period to PIII can be found here, as well as some of the finest examples of ancient rock art in the Southwest. Located on State Route 261, the Kane Gulch Ranger Station is 4 miles south of US Hwy 95 at the upper entry point into Grand Gulch, visitors to the area need to stop by here and register with the ranger and pay the day use fee, or overnight fee if you are backpacking in the canyon. As the name implies, this is a non-developed, primitive recreation area. 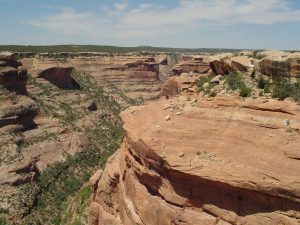 Access into the canyon is by foot travel, although horse/pack animal access is allowed in certain portions of the canyon. The trails in and out of the canyon can range from steep, slightly technical scrambles to long, flat sand washes with everything in between. 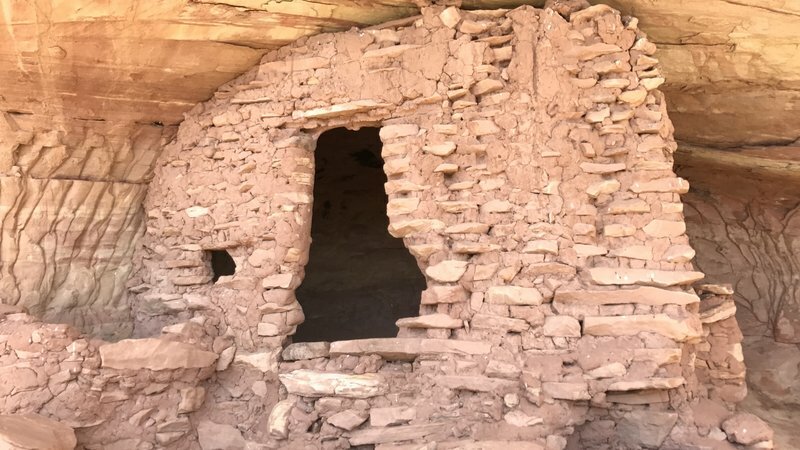 Besides the incredible scenery of the canyon itself, several archaeological sites including Jail House Ruin, Perfect Kiva and Junction Ruin, as well as dozens of granaries and rock art too numerous to count are all located in Grand Gulch, many within day-hiking range from the BLM Ranger station at Kane Gulch. 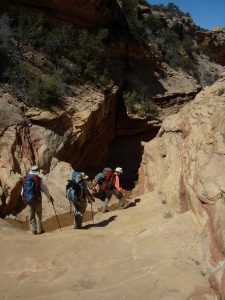 Surrounding Grand Gulch, Cedar Mesa offers beautiful hiking, primitive car camping (in established sites) and opportunities to explore numerous mesa top sites. 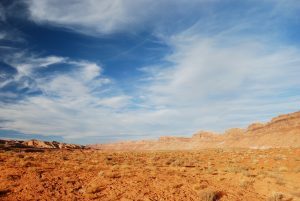 Transportation on Cedar Mesa can be an adventure in itself. The roads leading off of State route 261 consist of unimproved dirt roads, most requiring at least an all-wheel drive vehicle. Low clearance, 2-wheel drive cars may not get you where you want to go here. 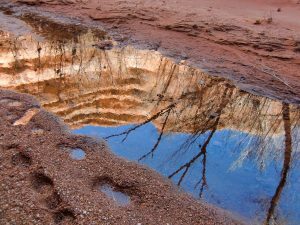 Keep in mind that the character of any one of the Cedar Mesa roads can change dramatically after one rain storm. Washouts, sandy areas and arroyo cutting are all part of the adventure. The ranger station has a good collection of books and maps for sale, focusing on the Grand Gulch/Cedar Mesa area. 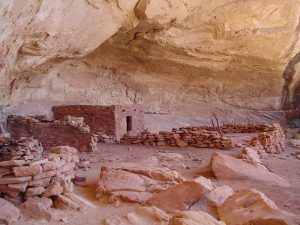 The rangers will also have information regarding which archaeological sites are open and accessible to the public. In addition, they have current water conditions and weather forecasts. 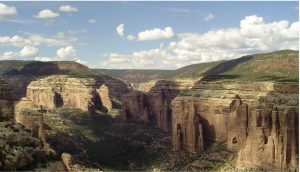 Both are very important for anybody planning on venturing below the canyon rims. 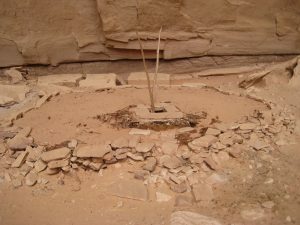 For more information on visiting archaeologically sensitive areas, check this link out.